We’ve caught wind of the SK9 music tour from artist and female skateboarder, SOAK from Rob at the House Skatepark in Sheffield. 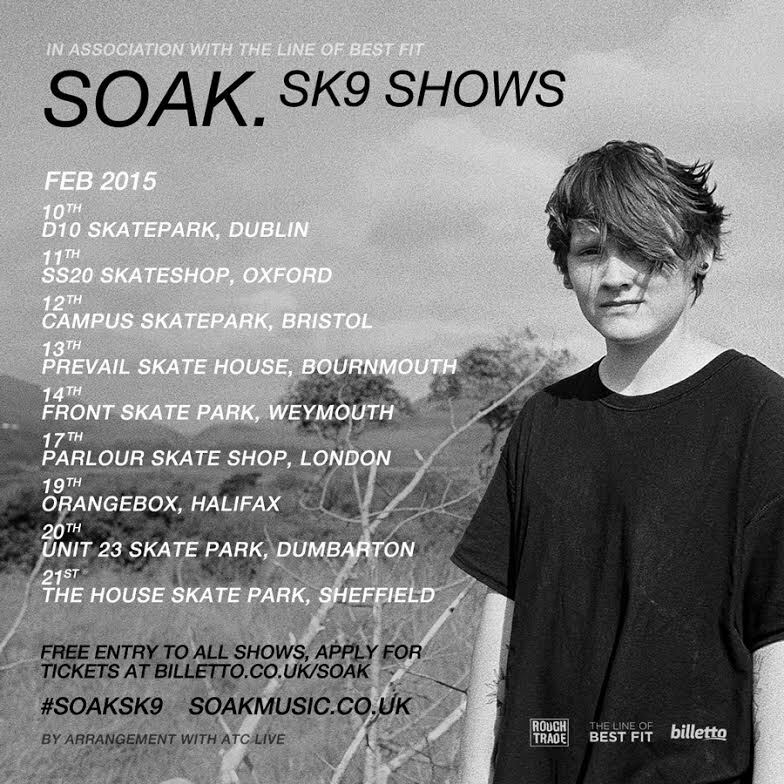 SOAK will be touring various UK skateparks, ending at the House on Feb 21st! To guarantee entry, you can grab your FREE ticket to any of these shows here… be quick though as they are going fast! Skating will also be FREE for the night so don’t miss out! For more show dates, see the poster below! Be sure to check our her songs on youtube, beautiful voice on top of dreamy music – we’re looking forward to seeing her play live! Follow SOAK on Twitter, Instagram, Tumblr and Facebook. Check out her Youtube channel here. ← Emma Richardson, for a Limited Time Only!